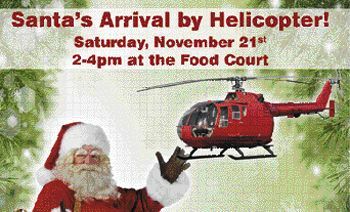 Santa will arrive at Greenspoint Mall by Helicopter! Meet Santa as he steps off the helicopter and follow him down to the Santa set for pictures! 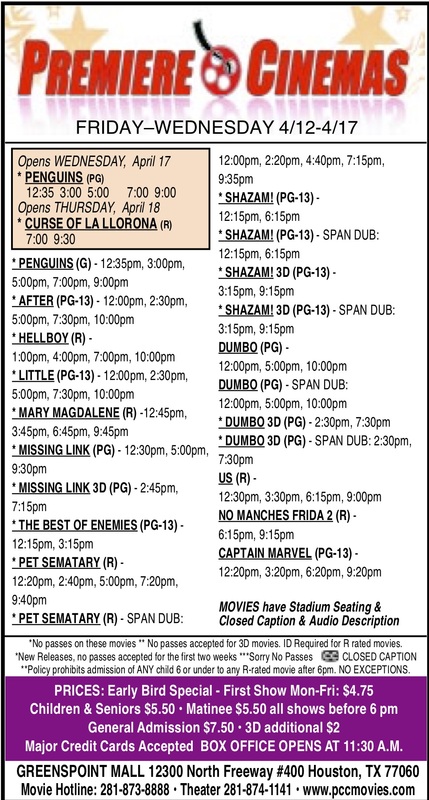 This Saturday, November 21, 2015 from 2 pm – 4 pm at Greenspoint Mall, 12300 N. Fwy, Houston, TX., 77060. There will be entertainment for the whole family in the Food Court with crafts, games, prizes and much more. 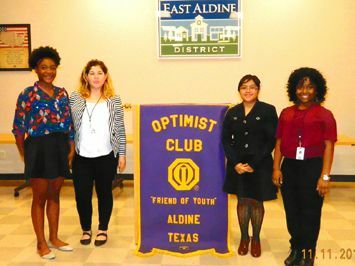 The Noon Aldine Optimists Club sponsors students every year, to attend the Youth Leadership conference of the South Texas regional Optimists clubs. This year the event was held in Galveston, and at the regular luncheon of the club, reports from four students were presented to the club. The meeting was held at the offices of the East Aldine District instead of their regular location at their clubhouse. Students making the presentations were Taylor Barnes from Davis High School; Miriam Ruiz from MacArthur High; Lissette Carrera from Victory High; and Kendyll Smith from Nimitz High School. Also present at the luncheon were the counselors for these students, and the District Governor Elect for the South District of the Optimist Internation organization, Carol Hodges. Each student reported on their experiences at the HOBY, or Hugh O’Brian Youth leadership conference. Also enrolled as a new member at the meeting was Joyce Wiley, and two who were not present, Sidney Brewer and Armando Walle. Club president Steve Mead reported that the club was preparing to award students who completed the reading program in each of the 34 elementary schools, with a new bicycle as a gift for their efforts. 68 bicycles will be presented, one to each boy and girl per school. The value of a single vote was clearly demonstrated this week, as candidate for Aldine Trustee Position 1, Tony Diaz, lost to the incumbent, Patricia Bourgeois, by a margin of only 5 votes out of 11,637 cast. Diaz received 5816, and Bourgeois received 5821. However, another 3748 voters did not choose either candidate. 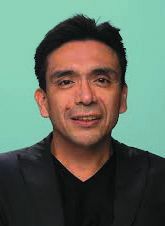 Diaz indicated to the Northeast News that he will request a recount, after the ballots are canvassed this week, and are official.